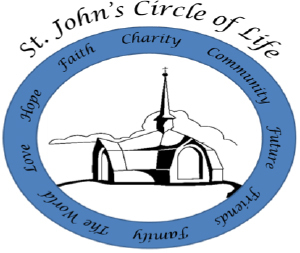 The St. John’s Circle of Life Endowment Fund is a long-term, sustained fund to benefit the congregation and support St. John’s now and far into the future. The fund is being created by the members and friends of St. John’s who generously support needs beyond the scope of our current thinking either for St. John’s and our community. The principal investments into the fund will remain intact; only the profits from each year’s investments will be spent. The St. John’s Circle of Life Endowment Fund Committee manages the growth of the designated funds and direct financial contributions to be distributed as needed going far into the future. Proceeds will support the mission and ministries of St. John’s such as visiting scholars and consultants, emergency capital needs, educational grants for leaders, young adults involved in mission experiences, experiments in Mission and Ministry not yet dreamed of, seed money for new ministry endeavors such as a St. John’s preschool, after school program or a summer camp, or scholarships for seminarians. You are invited to GIVE NOW through cash, transfer ownership of investments, real estate or closely held stock. By giving now your potential benefits include receiving an immediate charitable income-tax deduction and bypassing capital gains tax on the growth of securities, real estate or closely held stock owned for more than a year. You can GIVE LATER by making a deferred charitable gift while retaining control of the gift asset while living and making a significant gift upon death. You do this through making a bequest in your will, a living trust, IRAs, tax-sheltered annuities or transferring ownership of a life insurance policy to St. John’s Circle of Life. The potential benefits of giving later includes retaining control over the assets while living, designating all or a portion of the proceeds, heirs avoiding paying income and estate taxes on the assets and having a charitable income tax deduction. You can GIVE ON AN ONGOING BASIS by making donations on a regular basis and benefit by receiving an immediate charitable income-tax deduction. WE RECOMMEND YOU CONSULT A QUALIFIED ESTATE PLANNING ATTORNEY FOR SPECIFICS REGARDING THESE POSSIBILITIES.